I was saddened to hear that friend and amazing musician Davey Adkins passed away last night. This image was made at possibly Davey’s last performance at the Jazz Kitchen in Indy. This is the limited edition poster, produced for the 2012 Indy Jazz Fest. 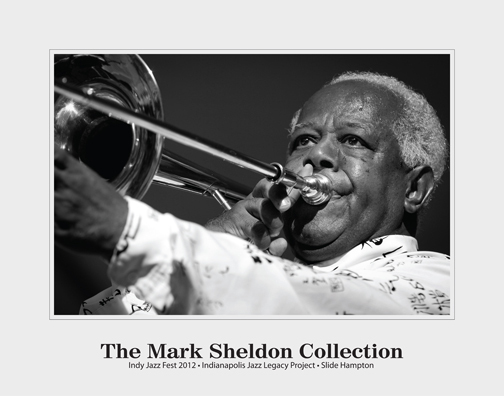 It’s features the legendary trombonist, composer and band leader, Slide Hampton. Prints signed by the photographer may be purchased for $12.00 + $3.00 shipping. Please reach out to me here and I’ll get one out to you. I was very sad to get the news that my good friend, Chuck Workman passed away on March 25th at the age of 79. Chuck was a local jazz radio personality and had spent the better part of several decades supporting and promoting jazz in all its forms in Indianapolis. Chuck was the consummate professional and was always there to provide assistance on several programs I put together. 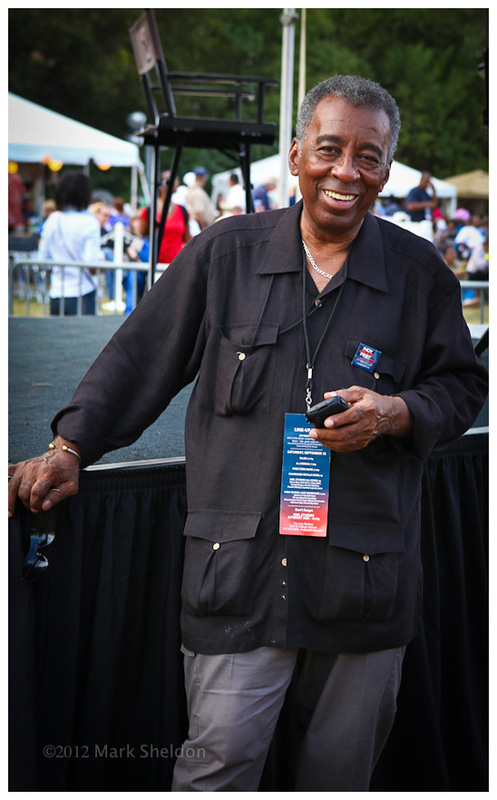 Chuck hosted jazz/arts programs on the radio for many years, most recently at WICR for the past several years. He also penned a jazz column for Nuvo Newsweekly for the past 17 years. 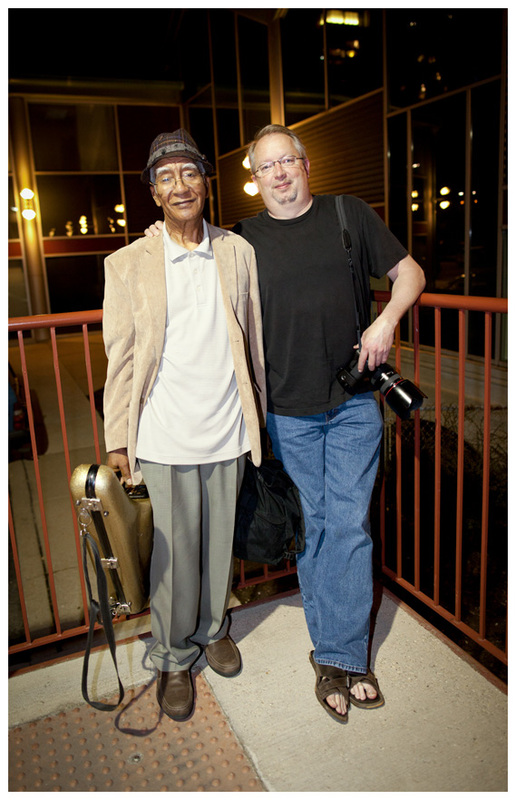 The photo below was made at the 2010 Indy Jazz Festival in Opti-Park. The 46 for XLVI program is a partnership between the Arts Council of Indianapolis and the City of Indianapolis. 46 for XLVI was created to elevate the arts and culture of the City in preparation for Super Bowl XLVI. Over the course of the program both local and national artists will create 46 murals around Marion County. This particular mural was one of two painted by artist Pamela Bliss for this project. 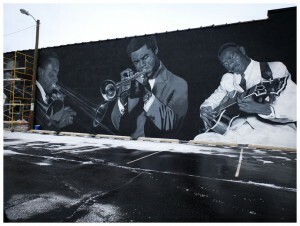 This particular mural featuring legends of the Indianapolis Jazz scene is on the south side of the Musician’s Repair building at 322 N. Capital Avenue, on the near northside of downtown. Musicians included at this time are David Baker, J. J. Johnson, Freddie Hubbard and Wes Montgomery. Others will be added in the near future. The other mural is entitled “My Affair with Kurt Vonnegut” and is of course of Indianapolis native and writer Kurt Vonnegut. This is located on the east side of the Massala Building at 345 Mass Ave. 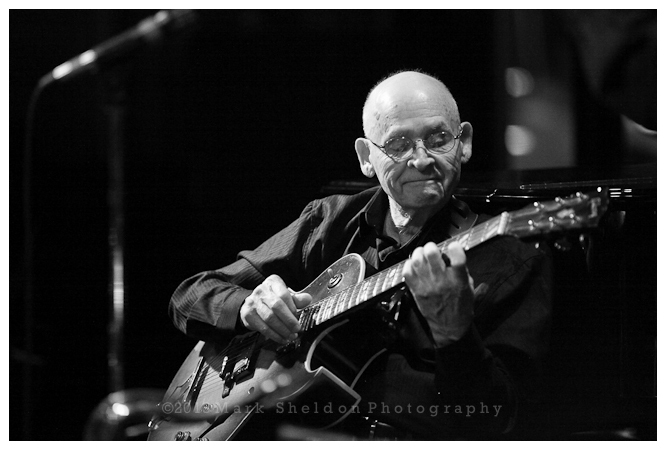 The great guitarist Paul Weeden passed away recently in his home town of Oslo, Norway. 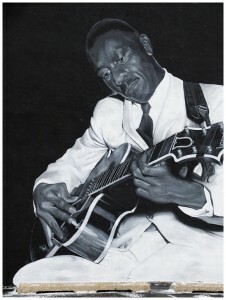 Paul was born in Indianapolis and grew up along side another guitarist you may have heard of, Wes Montgomery. This photo was made at the Indy Jazz Fest around 1997. 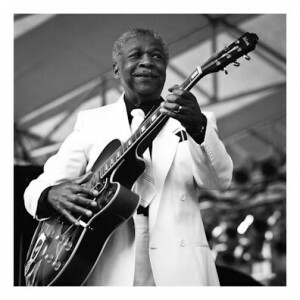 While probably not as well known as he may have been had he remained in the United States, Paul joined the Basie Band upon the death of Freddie Green. I knew his playing best with organist Don Patterson and altoist Sonny Stitt. A really nice line-up once again at the Portland Jazz Fest, it’s theme for this year is “Bridges & Boundaries-Jewish & African Americans Playing Jazz”. I will be covering the festival for Downbeat…look for a recap of the festival in an upcoming issue. The festival runs from February 18-27 and features Randy Weston, Anat Fort, Dave Frishberg during the first weekend and Don Byron Plays Mickey Kazt, Esperanza Spalding, Nik Bartsch’s Ronin+Blue Cranes, Pancho Sanchez, The 3 Cohens (Anat, Avishai and Yuval) + Afro-Semitic Experience, the SF Jazz Collective doing the music of Stevie Wonder, Regina Carter, Joshua Redman and Maceo Parker. The image above of Pat Martino was made inside the Crystal Ballroom at the 2009 Portland Jazz Fest. It appears Fred Anderson’s legendary Velvet Lounge has closed their doors, possilby for good. Fred passed away last June after a short illness and despite great effort by his Grandaughters to keep it open, it just wasn’t to be. The Grandaughters did a great job but end the end, Fred’s son took control of it and basically did nothing with it. Man, I have a lot of great memories of this location and the one located on Indiana Avenue. 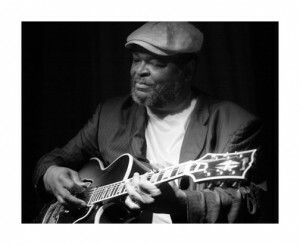 Seeing Fred along side greats such as Henry Grimes, the equally wonderful Kidd Jordan, Hamiett Bluiett, Harrison Bankhead, Dee Alexander, Roscoe Mitchell, Billy Brimfield and many other great musicians was really a treat. Fred was just a wonderful man, a friend to all that knew him and an amazing artist and mentor to hundreds of musicians over several decades. Long Live Fred Anderson!! !